The Belfast Giants have added Canadian forward Blair Riley to their roster for the 2016/17 season. Riley, 30, played for Stockton Heat in the American Hockey League during the 2015/16 campaign. 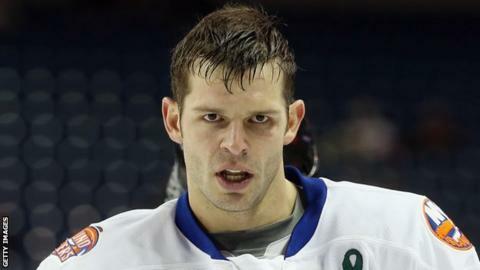 He has played in the AHL in each of the past seven seasons, playing over 330 games and was an assistant captain with Stockton, St John's, and Bridgeport. Before that Riley had four seasons of NCAA hockey with Ferris State University. The Giants will play two exhibition games with German side, the Fischtown Pinguins, on 20 and 21 August. Belfast finished fourth in last season's Elite League, under new player-coach Derrick Walser.